Are you the landlord of a property, or are you renting? As of the October 1st, landlords are required by law to install a working carbon monoxide alarms under measures that were announced by Housing Minister, Brandon Lewis. Renting properties can be a stressful business, but are you aware of the changes that have been made to housing laws? Every year, landlords are conned by illegal gas workers who perform poor gas work which causes serious illness or even death for their tenants. As it’s your property, it’s also your responsibility. Failure to comply to the law could lead to a civil penalty of up to £5,000 being imposed on you, so is it worth the risk? Maintenance: all pipework, appliances and flues must be maintained in a safe, working condition. All gas appliances should be serviced in accordance with the manufacturer’s instructions, but if you are unsure about what the instructions are, then it is recommended that these appliances are serviced annually. Gas safety checks: a 12 monthly gas safety check must be carried out on every gas appliance and flu, and a gas safety check will make sure that all gas fittings and appliances are safe to use. Record: you must keep a record of the annual gas safety check, which must be provided to your tenant within 28 days of the check being completed. Have you asked to see your landlord’s gas safety record recently? While your landlord is responsible for the safety of the gas appliances in your property, have you made sure that they have been checked recently? If you gas appliances have not been safety checked within the last year, you could be in serious danger of carbon monoxide poisoning. 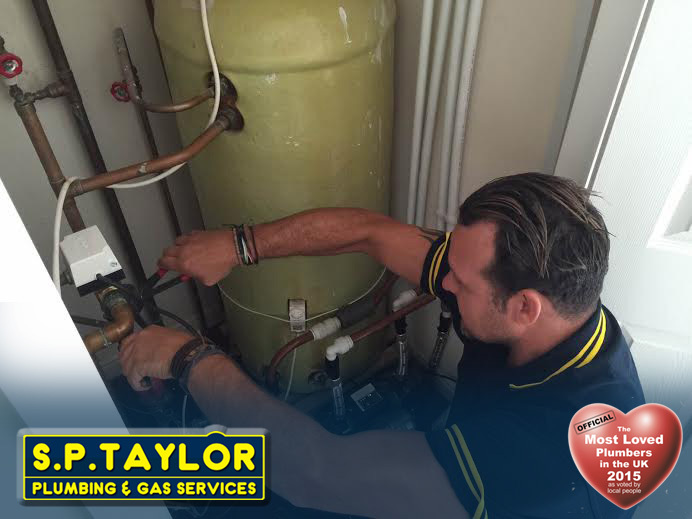 After a Gas Safe registered engineer does a gas safety check in your home, they will complete a form and write down the details of the checks that they have carried out, and will list each of the appliances and other gas fittings that they checked. Are you unsure about when the last time your gas appliances were checked or is your landlord refusing to give you a copy of the gas safety record? Contact your landlord, who is by law required to ensure that all gas appliances comply to regulations. If your landlord refuses to do so, you can complain to the Health and Safety Executive via the HSE website. Failure to follow gas safety requirements is a criminal offence, and the HSE can issue a formal caution and may prosecute your landlord. For all of your gas needs, look no further than SP Taylor – call us on 01922 474313.